As I do sometimes, I must come to you this week, hat in hand. Børns came onto the scene with "10,000 Emerald Pools" back in October, and released an EP, Candy, in November. I know that generally speaking not much time has passed, but I really pride myself on trying to bring you guys that new new. Hopefully the wonderfulness to follow will make up for the time lapse. Børns is my new obsession. His sound is fresh and new with a retro feeling, as well as totally groovy, slightly ethereal and playfully romantic. Unfortunately for us, there are only four songs available on the Internet, but this small sampling packs a seriously delightful punch. The singer, whose name is actually Garrett Borns, is from the midwest but currently resides in a treehouse outside LA. Seriously. When you think about it, it actually makes total sense. To me, his music is like what it might sound like if Lord Huron took a long vacation at an oceanfront pool house in Malibu and found a new love and listened to a lot of Duran Duran. 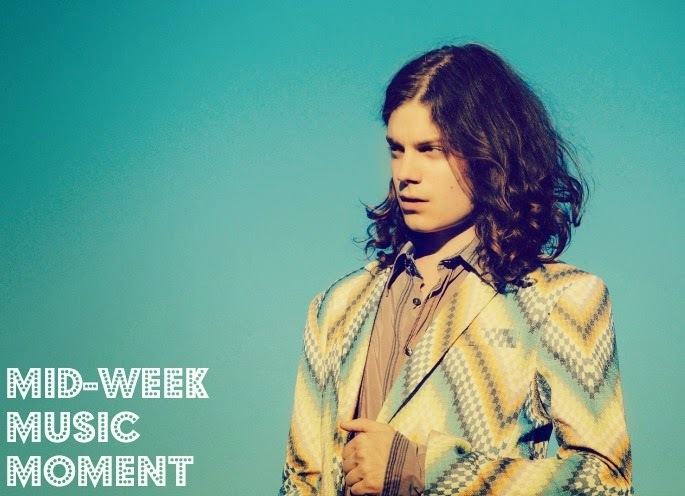 Børns is about to go on tour with sonically compatible band MisterWives (coincidentally last week's MWMM), and also, probably about to get way more famous, thanks to a very complementary Instagram from Taylor Swift regarding the song "Electric Love."